Watertight Homes, extended an existing basement to create a large habitable space beneath a detached Victorian double bay property. There was already a basement beneath 60% of the property and excavation was undertaken to extend it over a further 30m². There were no existing being removed via the new ones at the front of the property. 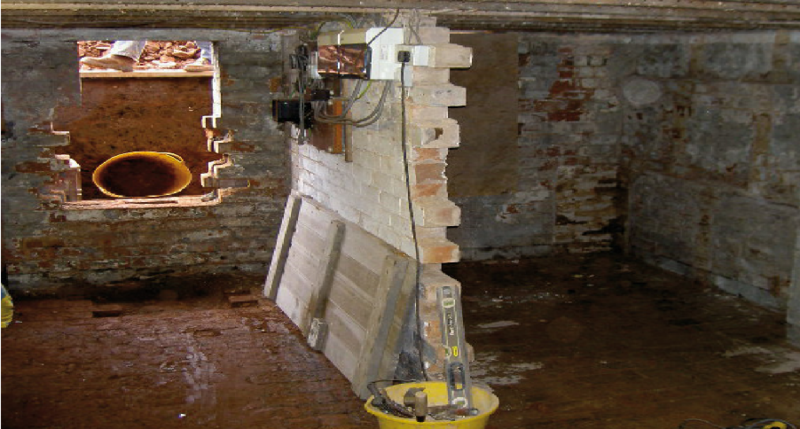 Large areas of underpinning were involved with the earth taken down to achieve a 2.5m head height. 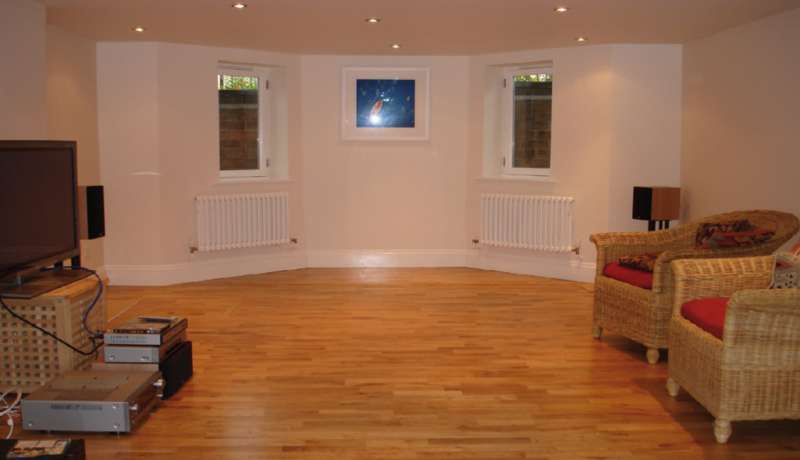 Two internal partition walls were built and some existing internal walls removed to suit the new internal layout. Watertight Homes used Platon P5 cavity drain membrane on the walls and heavy duty P20 membrane on the floor. 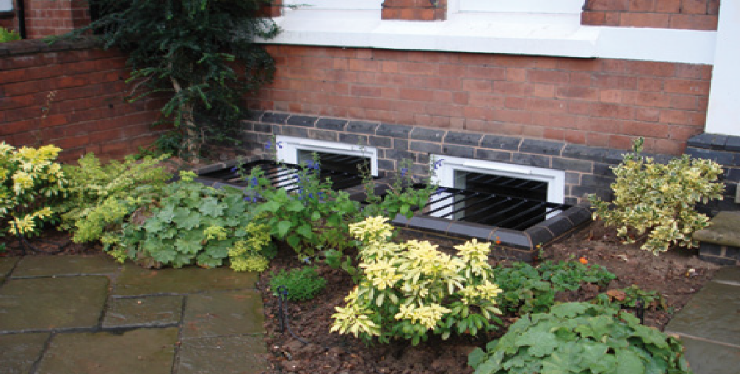 Cavity drain membranes work on the principle of allowing water to continue to penetrate the structure but control it in the air gap and divert it to a suitable drainage point. They do not allow pressure to build up against the internal construction and the air gap behind the membrane allows the structure to breathe. 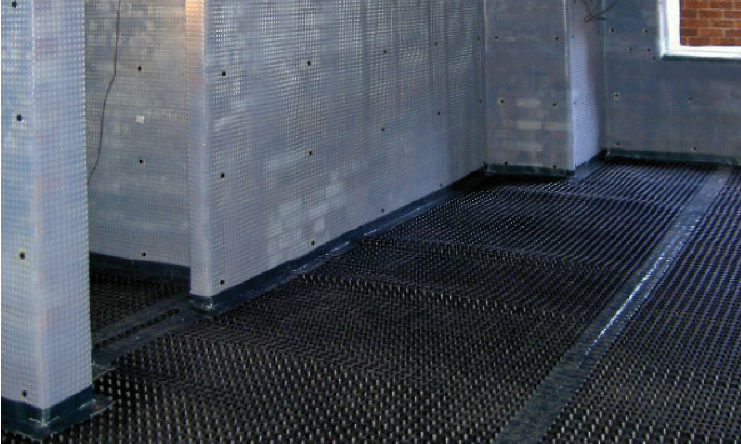 Once the membrane has been fitted, wall surfaces can be dry lined or plastered directly and floors can be screeded or a floating dry board system installed. 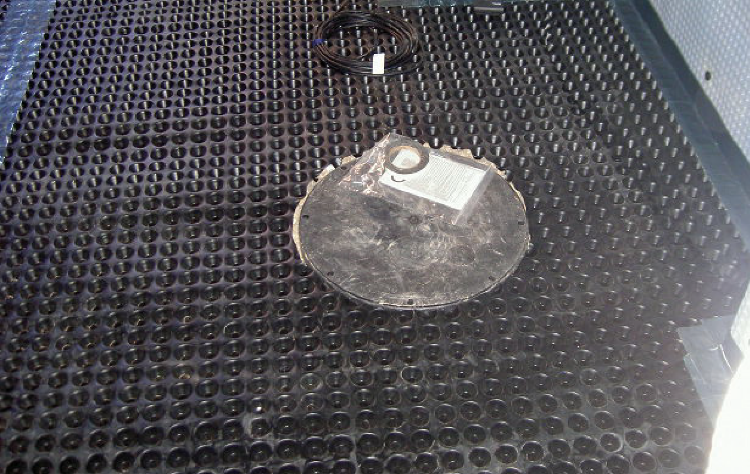 Drainage gullies were created on the floor slab beneath the P20 membrane to direct any water ingress to the three drainage system sumps, each containing an Aqua Pump. Any water directed to the sumps will be pumped to rainwater gullies/surface gullies. The walls were battened and boarded and chipboard was laid on the floor with hatches created to access the sumps. A wood floor was then installed again with recessed hatches over the sumps. 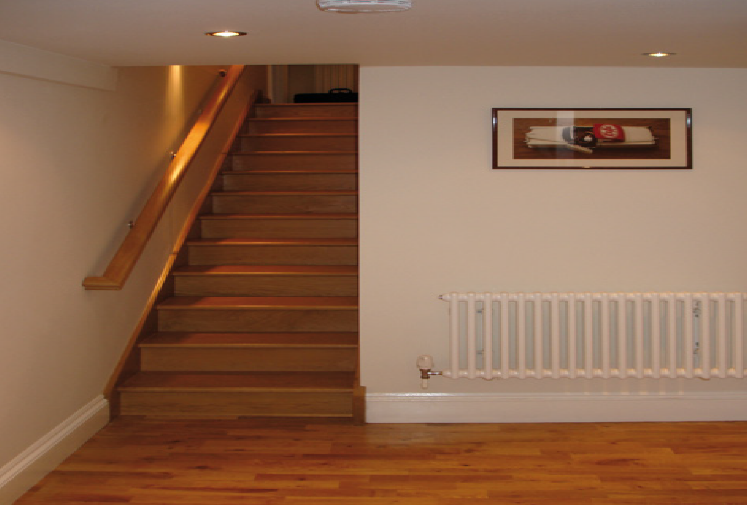 As part of the project, Watertight Homes also had to remove the original brick stairs down to the basement and installed a new oak staircase to match the design of other stairways in the property. The new basement has provided a new space to accommodate a TV lounge/games room complete with table tennis table, a music room large enough for a drum kit and a utility room for freezer storage etc. To create an impression of unity with the rest of the property, the door and door frame at the top of the stairs down to the new basement were removed. The Watertight Homes team also removed all garden plants from where the new lightwells were built, potted them up and then returned them to the garden when the project was completed!